Pure white flowers held on long arching stems. May-June. 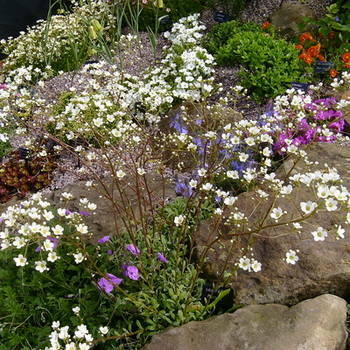 Ideal planted in rock crevice.